Founded by Dr. Manfred Obermann in 1956, Planta has since become one of the foremost boutique blending houses in the world, producing a range of elegant aromatic pipe tobaccos, one small batch at a time. 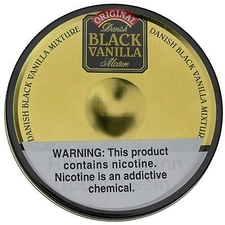 Driven by their love for tobacco, the family-operated company meticulously blends each mixture by hand, using only the finest quality leaf from around the world, complex processes like bi-fermentation, and unique flavorings such as exotic fruit, scotch, and citrus. Far from your father's cherry Cavendish, these are aromatics made specifically for the tobacco connoisseur.